Ford Library staff will attempt to open the Library as close as possible to our normal opening time of 7:30AM on Thursday, January 30, 2014. Please bear in mind that icy road conditions may cause a slight delay in staff opening the Library precisely by 7:30am. Please call 919-660-7875 if you plan to visit the Library early tomorrow morning. Duke University has extended the Severe Weather Policy until 5PM this evening, and Duke and Fuqua have cancelled classes. Ford Library will therefore be closed for the day, Wednesday, January 29. Remember to check the Duke Alert web site for the latest updates on how winter weather affects Duke and Fuqua’s operations. Ford Library will be closing today, Tuesday, January 28, 2014 at 6:00PM due to winter weather and potentially dangerous driving conditions. UPDATE: Duke will activate the Severe Weather and Emergency Conditions Policy for the University beginning at 7 p.m. Tuesday. The policy will remain in effect until 7 a.m. Wednesday. A decision about whether the policy will be extended tomorrow morning will be communicated later this evening. – Jill Tomlinson, Fuqua Associate Dean, Finance and Administration. Since weather conditions on Wednesday morning may affect the Library’s hours of operation, please follow the Library’s Twitter feed for any changes in our hours of operation. 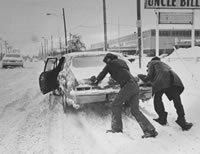 Please drive safely, and remember to check the Twitter link above to make sure we’re open before traveling into campus to visit Ford Library. Stone, Brad. The everything store : Jeff Bezos and the age of Amazon. Little Brown and Co., 2013. also available as a Kindle eBook. According to the author Brad Stone in his best selling company history, The Everything Store, in 1994 Jeff Bezos was already a successful Wall Street hedge fund trader at D. E. Shaw when he decided to start a company to capitalize on the power of the internet. Bezos saw his company as an intermediary between customers and manufacturers, selling the universe of products worldwide. He realized the internet’s potential for creating a convenient shopping experience, customized for each shopper based on his/her previous purchases. Shelf space on the internet was infinite so an e-tail store could offer limitless selection. To start his company, Bezos considered a variety of products, but settled on books. Books were pure commodities; because each title was identical, buyers knew what they were getting. Online booksellers were already in existence but Bezos’s goal was to compete with them with an innovative company totally focused on the customer. Bezos obtained funding from his parents and based the company in Seattle, already a technology hub, for sales tax considerations. He recruited programmers and staff from top schools and named the company Amazon, the world’s largest river, a prophetic choice for what would become the world’s largest bookseller and later, the largest retailer on the globe. As the company grew, Bezos replaced the original employees with experienced business executives from companies like Microsoft and Walmart. Stone chronicles the way that the Walmart crew designed a nationwide logistics network of large scale retail distribution outlets, but as Amazon continued to expand into music, toys, electronics, apparel, sporting goods, jewelry and software, Bezos replaced the retail distribution veterans with scientists and engineers, who created supply-chain algorithms to manage the distribution process. Then Bezos redefined Amazon again as a technology firm as he sold Amazon Web Services, the cloud computing infrastructure. He developed digital devices like the Kindle ereader and the Kindle Fire tablet. Stone’s book clearly outlines Amazon’s management practices, strategy and corporate culture. But much of the book is about Jeff Bezos himself. Brilliant, focused and competitive, Bezos is a micromanager with creative ideas and high standards for performance. Employees who do not meet them do not last long at the company. Stone explains that Bezos treats workers like expendable resources and he lacks empathy toward employees with other interests or families. He is known for his violent outbursts and insulting comments. He is ruthless with employees, competitors and even partners. Stone exposes cutthroat tactics with start-ups like Zappos and Quidsi. Ironically, Bezos recently asked his management team to take steps to ensure that Amazon stood out among the world’s most loved companies. Recommended. Bilton, Nick. Hatching Twitter : a true story of money, power, friendship, and betrayal. Portfolio/Penguin, 2013. Lenin said that a lie told often enough becomes the truth. In this story about the founding of Twitter, New York Times reporter Nick Bilton explains that one of the four creators of Twitter (Jack Dorsey) often told the media that he was the sole inventor and CEO when he was no longer with the company. Today he is remembered as the sole founder. In his new book Hatching Twitter, Bilton sets the story straight, detailing the conflicts and jealousies within the company, the lies, infighting, power struggles and ultimately, revenge. When the story begins, Nebraska native Evan Williams invents Blogger as push-button publishing for the people and sells it to Google for millions. To prove that he is not a one-hit wonder, he looks to start another tech company. He meets his neighbor Noah Glass and finances his new web-based podcasting company, Odeo. Williams is named CEO. Soon after, they hire Jack Dorsey and Biz Stone and the four friends go on to found Twitter as a side business to Odeo. Odeo goes out of business, while Twitter becomes a technology phenomenon. Meanwhile infighting begins as the founders do not agree on what Twitter is and how it should be used. Is the stream of updates a news service or a status updating service? Is Twitter a communications utility or a social network? A web site or mobile application? As its popularity grows, it becomes apparent that Twitter has a shaky foundation and is badly managed. Yet the book contains few details about the business aspects of Twitter, its management, strategy or technology. Most of the text is about the creators’ inept management and their disputes. As friends, the founders avoid conflict and, as they seethe in anger, significant problems go unresolved. Over time, Ev and Jack force out Noah; Ev forces out Jack; investors force out Ev; Jack returns to the company. This gossipy page-turner contains ample details about the founders’ lives and emotions. Jack Dorsey receives especially rough treatment, portrayed as a superficial vengeful Steve Jobs wannabe. The side sketches of people like Mark Zuckerberg and Al Gore are amusing as they offer to buy Twitter. In places the writing is melodramatic but this book is recommended as an engaging history of the inventors of an important technology company. The Ford Library will be open for our normal hours on the Martin Luther King holiday, Monday, January 20th; but in-person reference and research assistance services will not be available until Tuesday, January 21. Our hours on Monday, January 18th will be 7:30am – midnight. 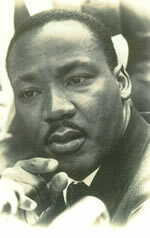 Note that the Fuqua School building doors will be locked on Monday, January 20th for the Martin Luther King Holiday. Library users will need a DukeCard to gain access into the buildings. Non-Duke library users may want to postpone any visit to Ford Library until Tuesday, January 21. You may browse the entire DVD collection via the library catalog. Malcolm Gladwell. David and Goliath : underdogs, misfits, and the art of battling giants. Little, Brown and Company, 2013. Also available as a Kindle eBook and an audiobook. Master storyteller Malcolm Gladwell’s newest bestseller is a series of remarkable tales of ordinary people who face overwhelming challenges and are forced to respond. He explains that powerful people may not be as omnipotent as they first appear; and that sometimes disabilities or disadvantages can leave people stronger and wiser. Gladwell begins his book with the bible story, the battle between the giant and the shepherd boy. He explains that Goliath’s massive size is no match for David’s speed and agility, that by changing the terms of the battle from physical might to precision and maneuverability, David’s size and skills become assets and he turns the giant’s strengths into weaknesses. In other stories, Gladwell shows how families or institutions with prestige and resources can enrich and engage us, yet too much of those advantages can limit our options, make us lose ambition, or hurt our confidence. More is not always better and not all difficulties are negative, particularly for people who develop attributes to overcome them, such as courage, resourcefulness and tenacity. There are negative reviews of Gladwell’s David and Goliath, from critics who claim that the book lacks evidence and logic. Gladwell uses science to back his conclusions using studies with small sample sizes that cannot be replicated. But even the critics admit that readers will enjoy the colorful stories of people who overcome great difficulties and they will appreciate the historical contexts of the Battle of Britain, U.S. civil rights movement, the “Troubles” in Northern Ireland and many others. Recommended. Yina Lu, Andrés Musalem, Marcelo Olivares, Ariel Schilkrut, (2013) Measuring the Effect of Queues on Customer Purchases. Management Science 59(8):1743-1763. Professor Andres Musalem of The Fuqua School’s Marketing faculty and his co-authors conducted an empirical study to analyze how waiting in lines (queues) at a retail store affects customers’ purchasing behavior. Their study methodology combines a novel data set with periodic information about how lines are structured (collected via video recognition technology) with point-of-sales data. The authors found that waiting in line to make a purchase has a nonlinear impact on purchase incidence; and that customers appear to focus mostly on the length of the line, without adjusting enough for the speed at which the line moves. Unlike prior research, which relied on surveys to measure both actual and perceived waiting times, this study uses actual field data to analyze the effect of lines on customer purchases. 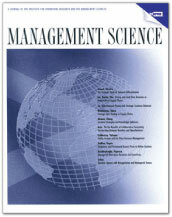 During a 7-month pilot study in 2008, Musalem and his co-authors used digital photos analyzed by image recognition software to track the number of people waiting, and the sales staff serving the customers at the deli of a large “supercenter” grocery chain store in a major metropolitan area in Latin America. They also collected point-of-sale data for all transactions involving relevant purchases from the beginning of 2008 until the end of the study period. The research was further focused on grocery purchases of loyalty card customers who visited the store an average of one or more times per month. This accounted for a total of 284,709 transactions from 13,103 customers. Based on their analysis and findings from these data, the authors present and discuss three managerial insights. Pooling (combining) identical lines into a single queue served by multiple staff may result in lost sales. The benefits of adding servers when staffing queues is considered. Finally, the implications of external circumstances generated by congestion for pricing and promotion management in a product category are considered. One of this paper’s significant contributions to queuing theory research is the development of this research methodology utilizing objective data rather than surveys after the fact. Because of their objective and empirically based methodology, the authors are confident in their conclusions regarding customer behaviors and the impacts of queue design on purchasing behavior. They also acknowledge that while their research focuses on the short term implications of lines during store visits, there are good opportunities for future applications of their method to study longer term effects of queues and customer service experience on future customer purchases. The authors’ integration of advanced methods from both operations management and marketing have provided managers with an important and useful tool for decision-making regarding current operations, potential future operations, and the pricing and promotion of products. Post content only © Carlton Brown & Ford Library, The Fuqua School of Business.